A wide range of books on image processing and analysis provide comprehensive descriptions of mathematics and algorithms for image processing practitioners, or introductory material for engineering students. This volume is different in addressing the topic from the point of view of the "user". Standard algorithms, procedures and rules of thumb are explained in the context of successful application to biological or medical images. 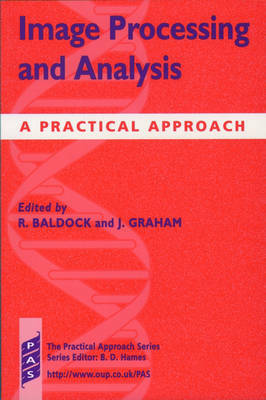 Early chapters cover the basic topics of image acquisition, processing, analysis and pattern recognition. Much of the explanation is in the form of protocols, which should equip the user in the biological or earth sciences with the background for informed use of image processing software, and sufficient knowledge to write their own programmes if they feel moved to do so. More advanced techniques in the use of explicit models and analysis of 3D images are covered in later chapters, also with reference to specific applications. The coverage of these is not exhaustive, but may inspire the reader to consider applying image analysis to problems beyond those tackled by commercial packages.